Seeing a sign ‘Theological Books on Sale’ the author knocked on the door and brought joy to a pastor’s widow despondent that any, even her church members, would be interested in the books that had been her husband’s servants. That story and many like it catch the mood of disillusionment in Christian circles floundering in the mood of scepticism about religion. The minister who used a funeral sermon to pitch for less spending on defence and more on medical technology without personal anecdotes about the deceased instances practice that alienates from the church. Church growth programmes that pay little attention to forming servant hearts are another source of cynicism. 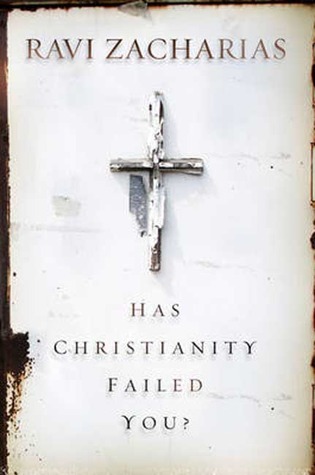 Internationally acclaimed apologist Ravi Zacharias paints this picture and brings encouragement to bear on the situation from big minds like C.S.Lewis and Thomas Merton and returnees to Christianity like Anthony Flew and A.N.Wilson. The latter speaks of rising above a playground mentality prevalent in him and in the media that sees being religious as unsexy like having spots or wearing specs! Wilson was drawn back to faith in the risen Christ by the example of friends who faced death in that light. Another story of a returnee speaks of realising they wanted to give but of needing help to be made able to do so. Considerable attention is given to Robert Price’s The Reason-Driven Life that puts the sword to Rick Warren’s The Purpose-Driven Life arguing against perceived credulity and subjectivism in evangelical faith. Zacharias sets Iris Murdoch against Price as he denies meaning is in the eye of the beholder alone. Throughout the book he brings testimonies to the objective purpose and fruitfulness of Christian commitment . Sometimes, as in a quote from Matthew Parris, the evidence marshalled comes from outside Christianity. The author is a veritable ‘magpie gathering jewels’ as in this description of God’s objectivity from C.S.Lewis’ conversion account: ‘The prodigal son at least walked home on his own feet. But who can duly adore that Love which will open the high gates to a prodigal who is brought in kicking, struggling, resentful, and darting his eyes in every direction for a chance of escape? …The hardness of God is kinder than the softness of men, and his compulsion is our liberation’. Ravi Zacharias is an expansive writer weaving together scriptures and stories in a leisurely style. What he writes engages mind and heart in looking at a world ‘that is nearly reasonable, but not quite’ (Chesterton). The reader is given parting counsel to seek the Holy Spirit’s indwelling and refreshing to counter the Screwtape Devil’s cultivation of Christian ‘horror of the Same Old Thing’. If we are to persevere we need to look to God’s refreshing faithfulness and not to the failures of the Church that are so readily useful for cultivating unbelief.